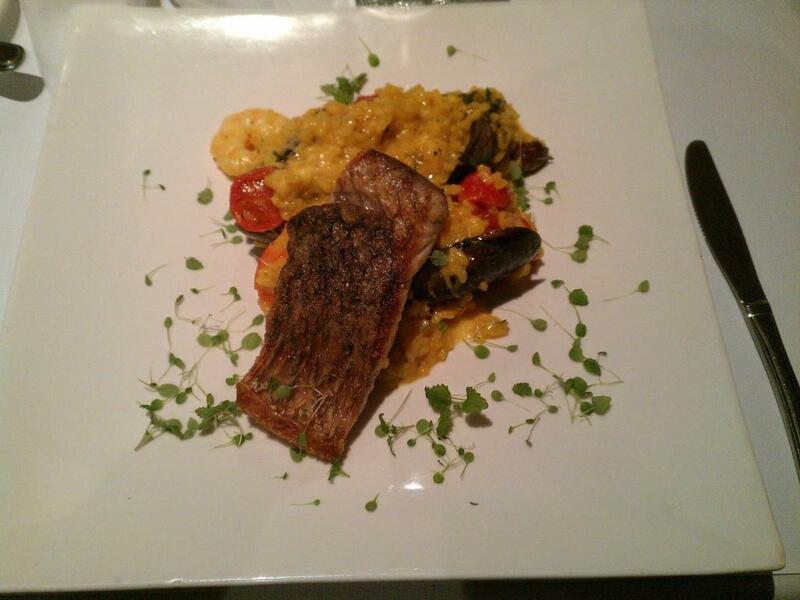 with Barra & Chilli stuffed zucchini flower, mussels, prawns, served on a black olive and saffron risotto. Glad to see that the barramundi was caught. Can’t eat it otherwise. The few prawns on this plate crispy (as crispy as a prawn should be), but I dodged the mussels. I don’t eat innards. That’s filth. The risotto was sort of al dente, and was cheesy! The whole plate had a mild seafoody sauce/ooze. The fish was salty and tasty, and had a big crunchy skin. The risotto was pleasant enough, but nothing amazing. with hazelnut ice cream, strawberry and coulis nougatine twirl. 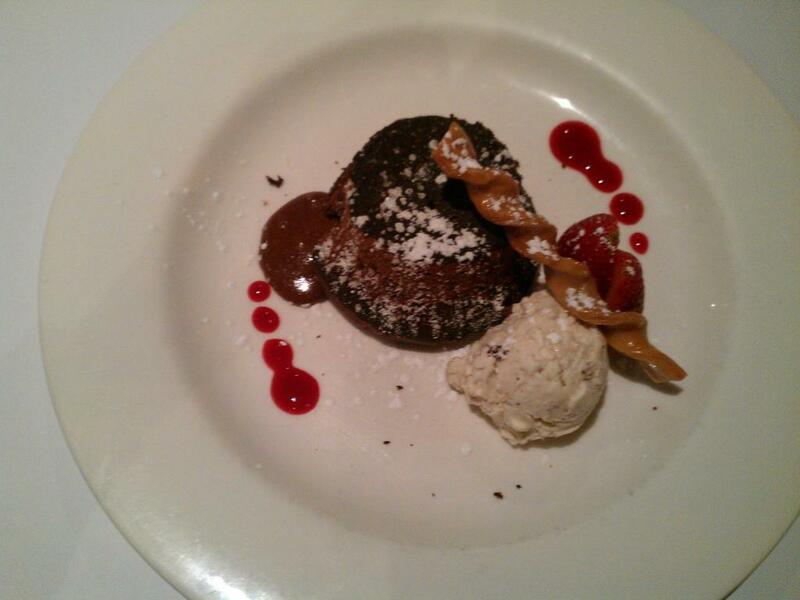 That was basically a very stadard, upside-down chocolate cake, with chocolate sauce inside. The hazelnut ice cream was just that – ice cream with an annoying amount of diced hazelnuts mixed in. The hazelnuts just made it harder to eat and combine with the cake. The almond toffee was just a twirly stick of toffee, and was as irrelevant to the rest of the dish as the drops of berry coulis were.